Today, in Astana President Serzh Sargsyan along with the leaders of the states-members of the Eurasian Economic Union – President of the Republic of Belarus Alexander Lukashenko, President of the Republic of Kazakhstan Nursultan Nazarbaev, President of the Republic of Kyrgyzstan Almazbek Atambaev and President of the Russian Federation Vladimir Putin participated at the sessions of the Supreme Council of the Eurasian Economic Union held in a restricted format. The sessions were presided over by the President of the host country, President of the Supreme Council of the Eurasian Economic Union Nursultan Nazarbaev. Present at the sessions was also Chairman of the Board of the EEU Commission Tigran Sarkissian who presented for discussions and adoption by the members of the Council the agenda items of the meeting. In the framework of the agenda, the Heads of the EEU member states discussed issues related to the further expansion of foreign trade and economic relations of the Union. At the conclusion of the meeting held in the extended format, the Presidents signed a dozen of agreements, including the concept on the creation of the common EEU market for oil and oil products. At the extended meeting of the EEU Supreme Council, President Serzh Sargsyan made a statement. I would like to start with congratulatory words addressed to the President of Kazakhstan Nursultan Nazarbaev for inviting the session of the Supreme Council of the EEU. The Eurasian Economic Union presents itself to this Summit with certain experience acquired during a period of time which has been challenging for the global economy. A broad legal field has been created, integration algorithms as being developed which in general should promote the social and economic development of our countries, as well competitiveness and a greater integration of our economies into the global economic system. Economic integration requires a higher level of coordination of our macroeconomic approaches. With this regard, we attach great importance to the consistent implementation of the main macroeconomic guidelines of the EEU member states for 20016-17 and development of future workable mechanisms for the synchronization of our economic potential. This will increase the level of sustainability of our economies and ability to overcome the consequences of the existing negative economic situation. We should do our best so that against the background of the increasing role of regional structures in global politics and economy, our integration becomes an attractive model for economic activities, open for a broad cooperation to all interested parties. The earlier signed agreement in the framework of EEU between Vietnam and Armenia on the creation of a free trade zone is now at the concluding stage of ratification and literally next week the agreement will be ratified. We also welcome the establishment of a legal framework for the cooperation with the ACEAN member states Cambodia and Singapore and all similar documents - more than twenty, which have been signed with the governments of a number of states, as well as with some international structures. Armenia supports the decision to start negotiations with Serbia on the harmonization of the trade regime with that country. As for the progress on the EEU-EU dialogue, I believe we all agree that cooperation between the two integration unions should be aimed at the achievement of free trade, free movement of labor, services, and capital. It should promote the creation of a common area with no dividing lines. In this context, we attach importance to the cooperation between the European Commission and Eurasian Economic Commission. At the Yerevan session of the intergovernmental council adopted were the guidelines for the negotiations with China. I hope that at the next session, the commission will report on the commencement of the process, whose ultimate goal in our perception should be the creation of a legal base for a close cooperation. At the same time, it is necessary to continue a dialogue with the Chinese side, as well as with other interested states – Iran and India – on connecting the EEU and Silk Road economic area. Such a symbiosis will provide additional opportunities for the integration into the international chain of added value. It will also allow to increase the turnover, to restructure the economy, to attract investments for huge infrastructure projects, and diversify the logistical opportunities. Decisions adopted by us, including today’s decisions, should be tangible for our citizens and business circles, for each customer and service client, who will feel personally advantages of integration. To achieve this goal, it is necessary through the concreted actions to lessen the burden on businesses, to remove technical obstacles, and to create condition for entering the EEU common markets. In this context, I would like to stress the importance of concepts on the creation of common markets for gas, oil, and oil products. The implementation of these decisions will assist in strengthening the EEU economic potential, because the market of energy resources is an important factor in the production chain and sustainable economic growth is often conditioned by its predictability. In the EEU area, the prices of hydrocarbon raw materials should assist in the increase of the competitiveness of the goods produced in our area. Integration unions successfully act and develop in a secure environment. Security is the pivotal base for the economic development and prosperity of our countries. I view as extremely important the fact that the countries, which form the Eurasian Economic Union, are at the same time members of the CSTO whose main objective is to ensure comprehensive security on our territory. Escalation by Azerbaijan of the situation at the Nagorno Karabakh contact line and on the border with Armenia at the beginning of last April has become a serious challenge for the security on the territory of the EEU. The threat is obvious – either the territory of the Eurasian Economic Union will be perceived by our international partners as an area of economic development, stability and security, where it is possible to make investments and initiate long-term programs, or everyone gets used to this complex situation and is guided by the understanding that this is a permanent hotbed of tension and discord. I don’t believe that the second scenario stems from the interests of our countries. In case of aggressive actions of Azerbaijan against Nagorno Karabakh Armenia will not be a bystander. The self-defense forces of Karabakh certainly very quickly reestablished the situation and took it under their control. Russia played an important role when was approached by Azerbaijan with the request to re-establish the ceasefire regime. A meeting mediated by the OSCE Minsk Group took place in Vienna. At the meeting, it was agreed to introduce confidence building measures such as monitoring at the line of contact and creation of mechanisms to investigate the ceasefire violation cases. 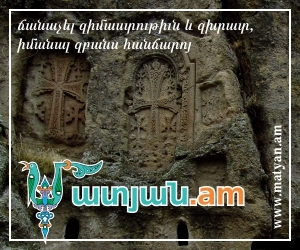 Armenia is determined to work consistently towards the implementation of these agreements and will continue to look for a peaceful resolution, which will be based first of all on the right of the people of Nagorno Karabakh to master their own destiny and to exercise their right for self-determination. Armenia agrees with the Co-Chairs of the Minsk Group that the mentioned principle as well as the principles of non-use of force or threat to use force, and the principle of territorial integrity constitute the base for the resolution of the NK conflict.